Fred MacMurray – Have you seen it? An accessible and personable blog about a journey through the world's best films films. 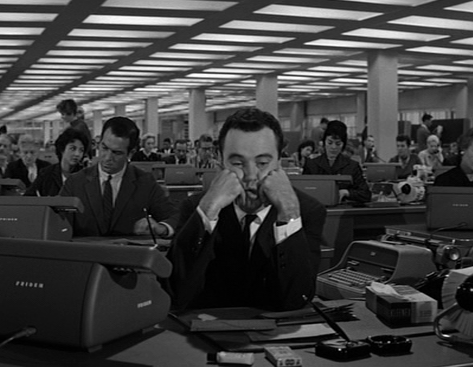 The Apartment is another Billy Wilder classic featuring the marvellous Jack Lemmon as a C.C. Baxter, a bachelor working as an underwriter in an insurance company in New York. He allows his senior colleagues to ‘borrow’ his apartment in the evenings whilst entertaining other ladies that they want to keep on the down low from their wives. I went into this film having no knowledge of the plot or having read anything about it, seen any trailers or reviews. I enjoyed it much more before because of it. I became very invested in the main character and in trying to figure him out. The Apartment is supposed to be a comedy but in a way it’s actually quite tragic and I ended up feeling very sorry for Baxter the majority of the film. He struggles with a lack of pride and allows himself to be downtrodden by those at work who are more senior and feel they can walk all over him as they have ultimate power over him and his job. It demonstrates just how brutal the goings ons behind office doors in the city are. Fred MacMurray stars as C.C. Baxter’s cheating boss. Baxter also doesn’t care if his neighbours think badly of him and he doesn’t care to correct them when they get the wrong end of the stick. He is unassertive and just does what he needs to do to get by. Jack Lemmon plays this gentleman so sublimely that he is an unlikely hero. You can do nothing but fall in love with his character, especially when he’s full of cold. The Apartment swings drastically from ‘rom-‘ to ‘com-‘ exploring a huge range of audience emotions and reactions. As the film develops, the focus becomes less on the funny Apartment antics and more on the relationship that Jacks character develops with elevator opperator Fran Kubelik (Shirley MacLaine) and he gradually starts to fall in love with her unwittingly facing complications down the line. A glimmer of fun still remains there throughout. Billy Wilder plays wonderfully with the idea of affairs and sexual antics in how the script is crafted and the film is shot. Something that was considered a risk back in the 50s. There are no obvious comments or remarks about the immorality of it all and it leaves speculation to the viewer. It’s such a pleasure to watch as Baxer starts to stand up for himself and claw back the control that others have over him and his apartment. The Apartment is where the majority of the film is set and really is a beautiful film which is still so relevant and entertaining still today. The film takes the long nights of winter and you start to think a lot about the people who are alone in the cold, dark evenings around the Christmas period, like C.C. Baxter. I’m honestly not sure why this isn’t considered a Christmas film! The film claimed FIVE Oscars at the Academy Awards, including for best picture. It also scores top marks from me and I grow ever more enamoured with Billy Wilder’s films and Jack Lemmon. 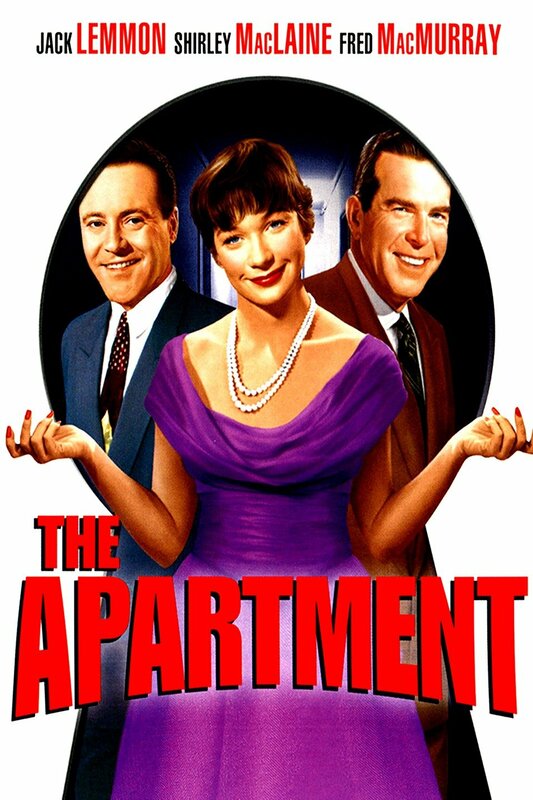 We watched The Apartment on Sky Cinema as we couldn’t find it free of charge anywhere else, the DVD is available on Amazon.